Rep Davidsmeyer with Pittsfield Junior High Student Council Members. 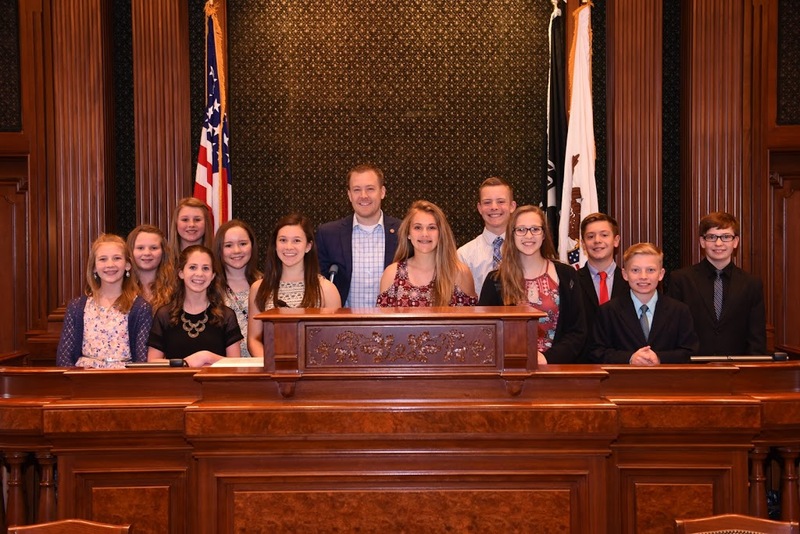 Pittsfield junior high school student council members traveled to Springfield on Friday and met on the IL House Floor with Rep CD Davidsmeyer (R-Jacksonville) for a question and answer session. The Pittsfield student group makes an annual trip to Springfield to meet with their legislators. Rep Davidsmeyer discussed with students on how the political system works, school funding and the need to do what is right.